The most unpredictable and dangerous fire you’re likely to encounter is a wind-driven wildfire. As winds change intensity and direction, a wildfire can either lay down and smolder, or it can turn into a roaring freight train. Knowing how to protect your home, your family, and when to leave in the event of a wildfire will be essential if you are to remain safe when disaster strikes. To help the community better understand the issues related to preparing for a wind-driven wildfire in the city of angels, the Los Angeles City Fire Department is partnering with Cal Fire, the Orange County Fire Authority, Santa Barbara County Fire Department, Los Angeles County Fire Department, San Bernardino County Fire Department, Riverside County Fire Department, and other agencies to create Ready, Set, Go, LA! You can help protect your property by creating defensible space around your home. That means removing brush for a minimum of 100 feet. Be sure there are no tree limbs hanging over your house and the roof and gutters are free of leaves, pine needles and other debris. Make sure ornamental shrubbery is set back from the sides of your home and that leaves under them are cleared away. One of the most common dangers in a wildfire is a free-falling ember landing in these places and igniting your home. Leaving your home when a wildfire is approaching is a difficult and emotional decision. Many people believe that by staying behind, you will have a better chance of saving your home. During the past year, a growing discussion regarding “stay and defend” has been discussed by both city and fire service officials. The recent disasters in Australia, where so many lives were lost, combined with all of the experience gained in past California wildfires makes it clear that the “stay and defend” concept may sound reasonable on paper, but is extremely dangerous in real-life. People decide to stay before the fire front arrives. When it does, many people change their mind (or panic) and decide to leave – and at that time, it’s too late. Many fatalities that have occurred in wildfires around the world are the result of people leaving their homes too late. 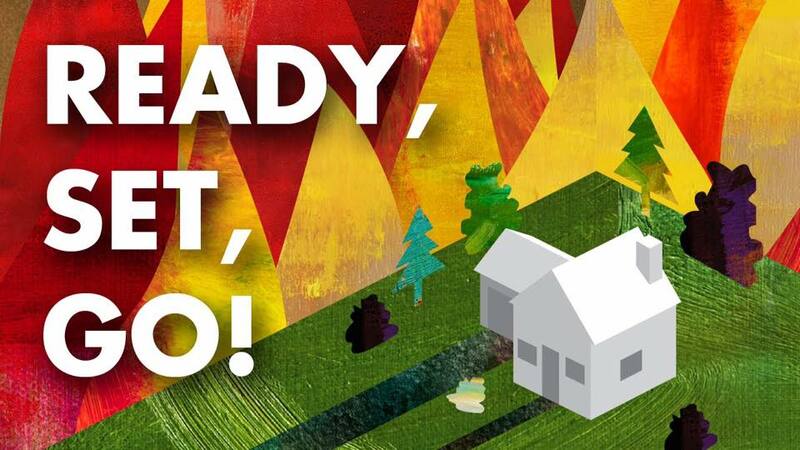 It’s up to you to be prepared in the event of a wildfire. We urge you to learn, adopt, and practice the Ready, Set, Go initiative.